Register before 10 May 2019 for only RM1,390 per person. This 2-day intensive workshop provides students with the knowledge and skills to configure and administer Hyper-V in Windows Server 2012 R2. Students will learn the history of Virtualization as it pertains to Microsoft technologies. 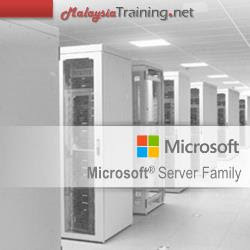 Students will learn the new features of Hyper-V in Windows Server 2012 R2. After completing this course students will be able to install, configure, and administer Hyper-V in Windows Server 2012 R2. Students will also be able to describe the High Availability features built into Hyper-V in Windows Server 2012.